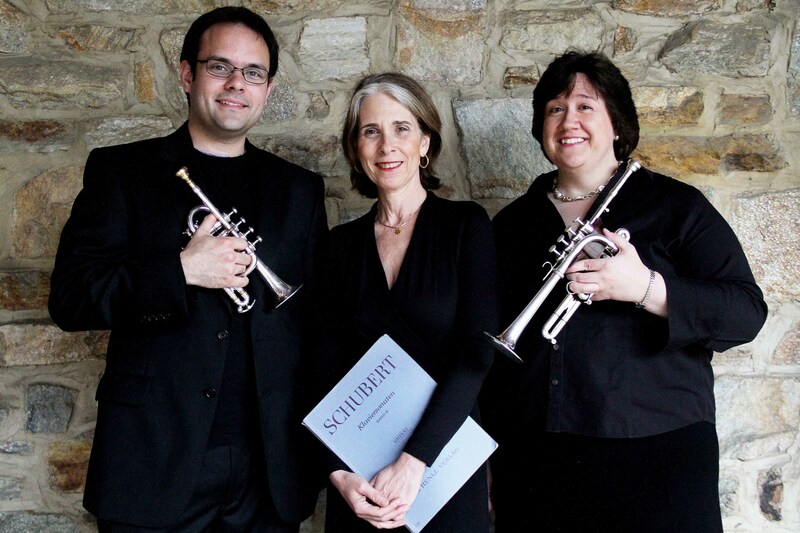 I had a great time this week performing a faculty recital at Goucher College with my colleague, the wonderful pianist Lisa Weiss, and trumpeter Brent Flinchbaugh who studied with me when he was in high school and whom I’m now proud to call a colleague. The program featured Brent performing the Hindemith Trumpet Sonata and your faithful scribe performing Bozza’s Caprice, Op. 47. We began with a movement from a Vivaldi Trio Sonata in G Minor for flute and oboe arranged for two piccolo trumpets and ended with Roger Voisin’s edition of Telemann’s Concerto in B-flat for Two Trumpets that was adapted from a suite for two horns from the Tafelmusik of 1733. In between all of the trumpet music pianist Lisa Weiss treated the audience to exquisite renditions of Chopin’s Nocturne in C-sharp Minor and the first movement of Schubert’s Piano Sonata in A Major in addition to her masterful accompaniment throughout the rest of the program. To give you a sense of what it was like, here is a video of the last movement of the Telemann, thanks to my student orchestra manager, Alyssia Smith, who operated the video camera. Enjoy!